OnePlus 6 is just days away from launch and the company has already revealed several features and specifications of its upcoming flagship. However, not much has been known about the OnePlus 6 camera and its features, apart from the fact that there will be a dual camera setup. The latest teaser put out by OnePlus hints at a camera that will be able to compete with the best smartphone camera offerings right now. OnePlus seems to be fairly confident about the capabilities of the OnePlus 6 camera, as it has pitted it against the likes of Apple iPhone X, Samsung Galaxy S9, and Google Pixel 2. The company posted some images via its Twitter handle, alongside the caption “The OnePlus 6 Dual Camera takes on the iPhone X, Samsung Galaxy S9, and Google Pixel 2. 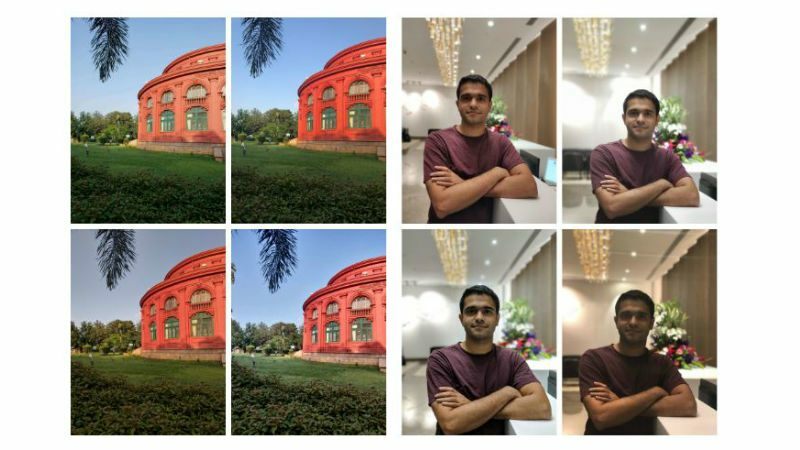 Can you match the shot to the phone?” The new teaser is a part of OnePlus 6 Blind Test, which the company has put up on its site. It challenges users to match pictures captured to their respective smartphones. The options, of course, are the premium smartphones that have been mentioned. Notably, these smartphones have cameras that have been regarded by many people as some of the best in the market. With this move, OnePlus is clearly taking the competition head-on. In the OnePlus 6 blind test, the company has posted four sets of images. There is one set that shows photos of architecture and another one is a set of low light images. The other two sets have portrait images in good light and low light. It is up to the fans to match the photos with the smartphones by replying to the tweet. OnePlus wants users to take the blind test as well as refer friends to it. While the top three scorers on the leaderboard have been promised a free OnePlus 6, the company will also give out other gifts. When it comes to optics, previous rumours have suggested that the OnePlus 6 will come with a vertical dual camera setup at the back and might bear a 20-megapixel primary and a 16-megapixel secondary sensor. The front camera of the OnePlus 6 is rumoured to get a 16-megapixel sensor for selfies and video calling. To recall, the OnePlus 6 launch is expected in London on May 16, followed by events in Mumbai and Beijing on May 17. 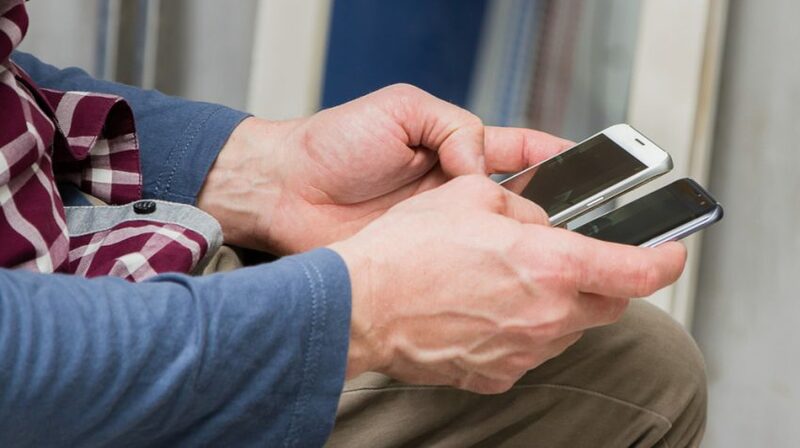 A smartphone is just as much a business communication device as it is a personal one. But using a single number for both on your phone is unprofessional and unnecessarily problematic. But smartphone technology and the many apps available in the marketplace allow you to easily get a second phone number avoiding these problems entirely. If your phone can accept a second SIM card, you can get another number from your service provider. However, if you don’t want to use this option or can’t because you don’t have a secondary SIM slot, you can use an app to get a second number on your phone. Why Get a Separate Business Number? First, it clearly separates your personal and business conversations, while at the same time protecting your personal private number. Additionally, you won’t have to worry about figuring out who is calling you because the dedicated line identifies it. Last but not least, it gives you a professional appearance. Some apps may have either a free version or trial period, so if you can, try them out before you purchase a plan. And be sure to read the fine print, because unlimited calls, SMS and text are in most cases between users of the app. Here are 25 apps you can use to add a second number. 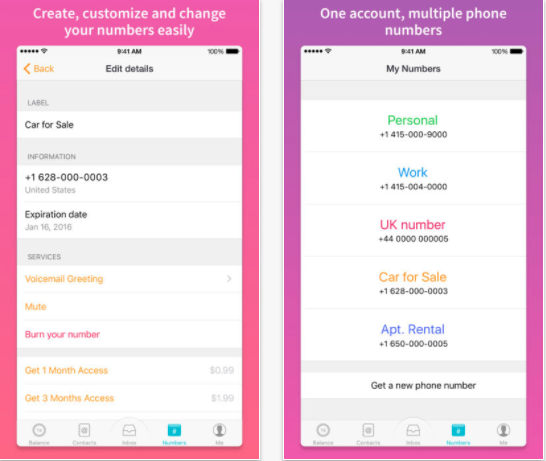 All of the second phone number apps are available for Android and iOS, except for LineUp, Numbers Plus, Second Phone Number, and Swytch, which are only for iOS. The GoDaddy SmartLine was just announced recently by the domain name company. 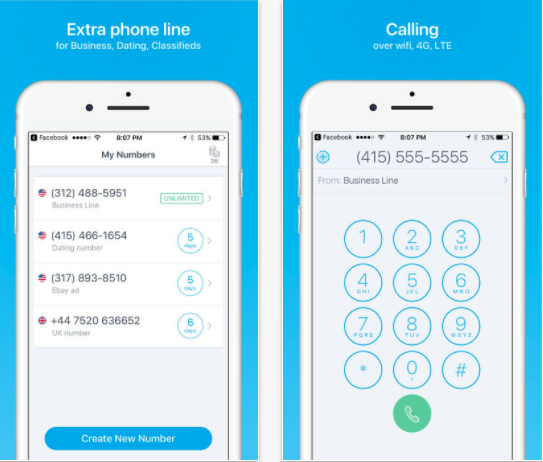 You can get a local phone number with a US area code plus customizable voicemail, business hour ring option, text messages and more. You can try it free for 30 days. Burner is one of the more popular apps for creating a secondary number. It was originally designed to create a temporary number, but permanent options are now available. The mini burner will give you 14 days with limited talk time and text messages, while the permanent version is a monthly plan for as long as you need the number. There is also a three-line plan if you happen to need more numbers. With Google Voice, all you need is a Google account to get a new phone number. The calls can be routed to your mobile phone, computer, home, office or another location. In addition to standard calling features, the app also transcribes voicemail messages to text. 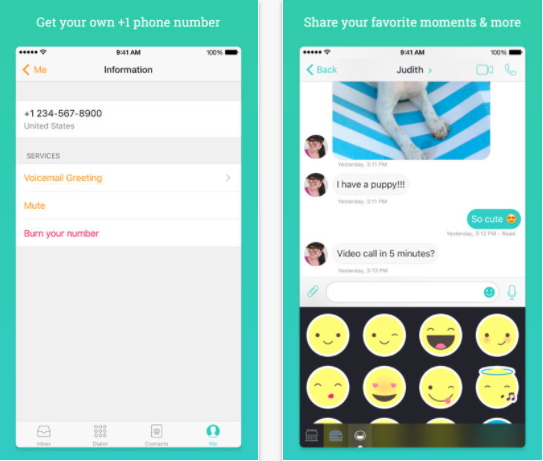 Like Burner, Hushed has temporary and permanent options for your second phone number. It starts with a free number for three days, followed by seven-day and permanent plans you have to pay for. Features include custom voicemail messages and call-forwarding. Dingtone gives you a free US number so you can make calls or text to any landline or mobile device in over 230 countries. The company uses its dedicated VoIP network to deliver HD voice and also provides instant messaging to share photos, videos, locations and contacts. Yearly and monthly subscriptions are available in the US, UK, Canada, Belgium, and the Netherlands. 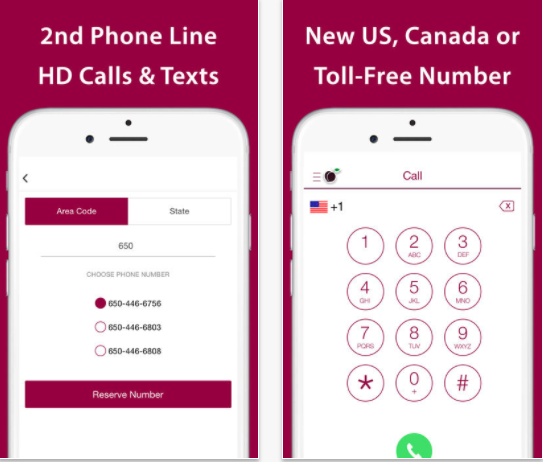 Free Tone says it gives you unlimited free calls and texts to U.S. and Canadian phone numbers when you get your own number from any area code with no trials or hidden costs. The company uses VoIP technology to deliver the service. The free calls only apply to the contiguous US and Canada, so make sure you check if you plan calling anywhere else. 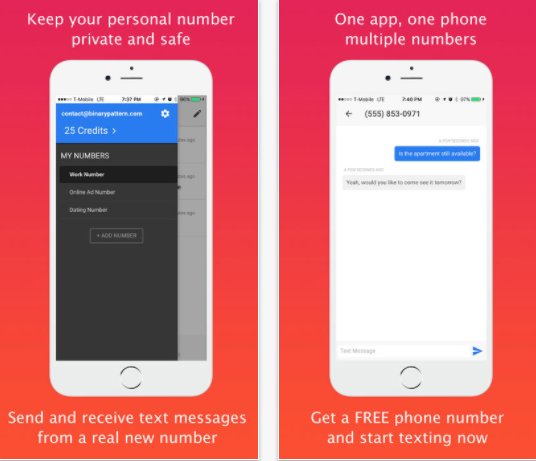 CoverMe gives you end-to-end encryption to make secure private calls and send texts with your new number. 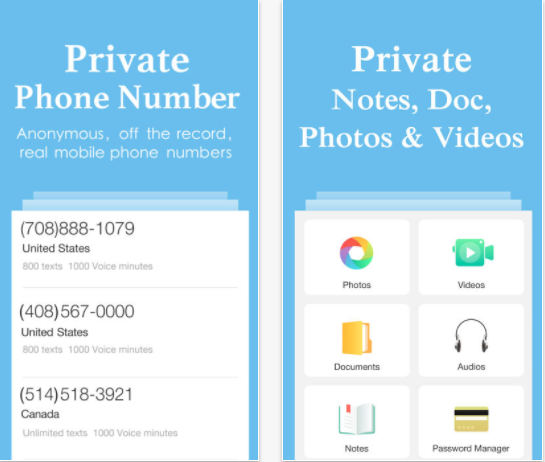 The app also has a private vault to hide photos, videos, passwords and files. You can get US and Canadian numbers for many different area codes. 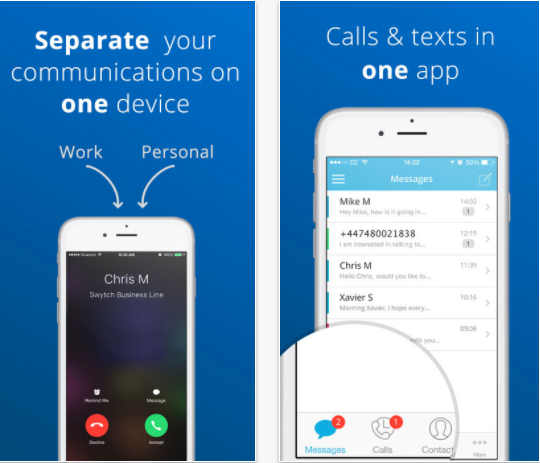 Cloud Phone describes itself as a business phone system for managing your business and personal calls. It includes one touch access to call recording, conference calling, eavesdrop, voicemail transcription and flip call features. The app includes a professional company greeting and an auto attendant for call routing, voicemail and call forwarding. iPlum has domestic and international functionality with support for 22 global languages on smartphones and tablets. You pay as you go by only purchasing the credits you need for your second number. You can port your existing phone number with caller ID, dedicated voicemail, call forwarding and picture and video messaging. Line2 offers full feature business phone systems for your second number starting with 1,500 minutes of outbound calling or forwarding. You can get a number in any city in the U.S. or Canada with visual caller ID, group calling and messaging, number blocking and more. 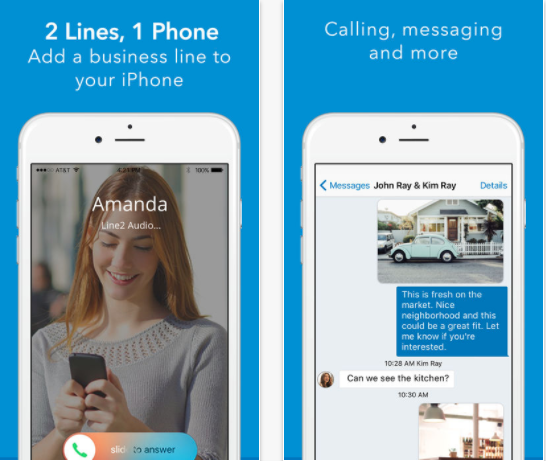 The second number LineUp provides offers texting, photo messaging, calling and voicemail. 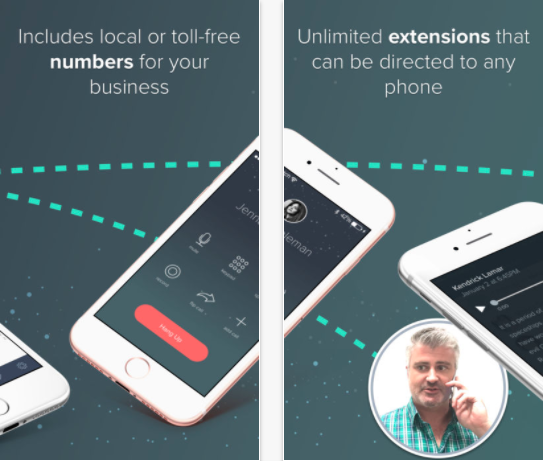 The subscription-free pricing lets you use the number for a single call or long-term use. The company also provides vanity numbers for your business with calling and texting features. The calling and texting minutes you pay for roll over instead of expiring, and they are good for any LineUp numbers you have. Numbers Plus lets you create multiple numbers and keep them as long as you want. Currently it only supports US and Canadian numbers for making calls and texting. You can try it for free and use the in-app purchase feature for additional time and numbers. 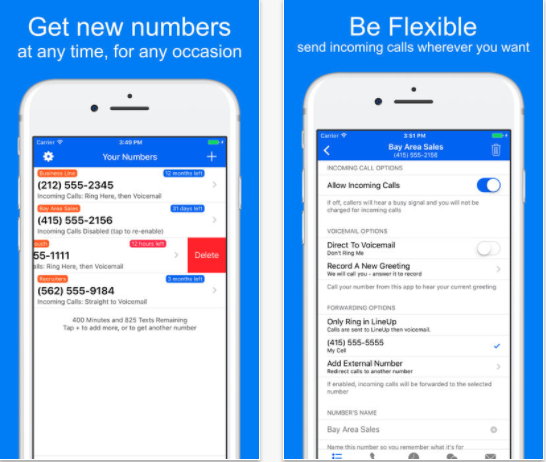 The Phoner app has a random phone number generator to quickly give you a temporary or permanent number. 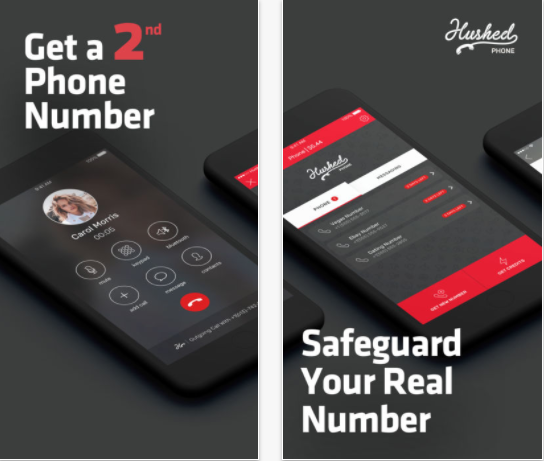 Once you get the number, you can access reverse phone number lookup, phone call recording functions, anonymous texting and calling, along with SMS and MMS. Ring4 gives you a local or international number in 20 countries with features such as text with emoji, call recording, do not disturb mode and more. If you make international calls, you can make or receive calls and texts overseas with a US number, with no roaming charges. 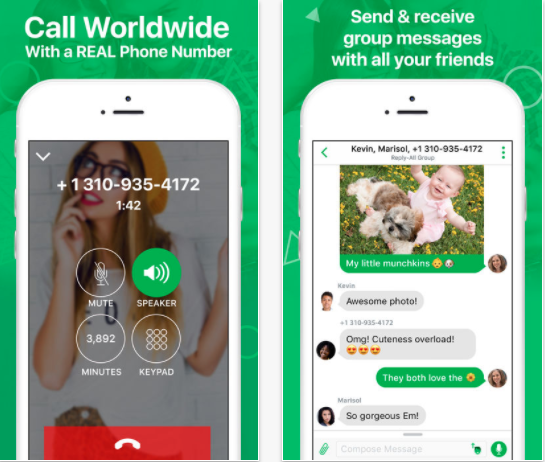 TalkU gives you a free second number to make and receive calls in the US and internationally. Call any mobile or landline phone number in more than 200 countries with unlimited free calling and texting between TalkU users. Features include Visual voicemail with instant listening, call screens, group calling with free group conference calls, and walkie-talkie. 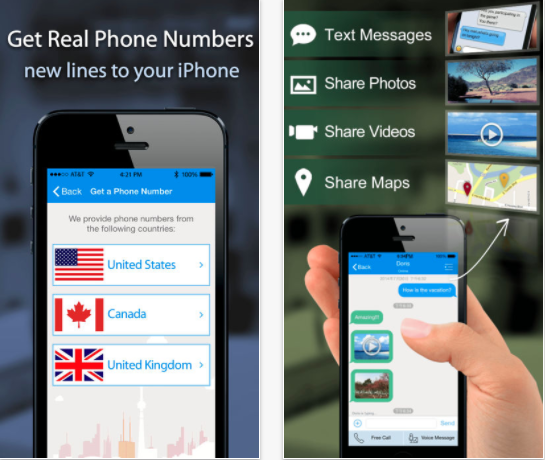 Talkatone gives you a free US or Canadian phone number to make free calls in those countries. 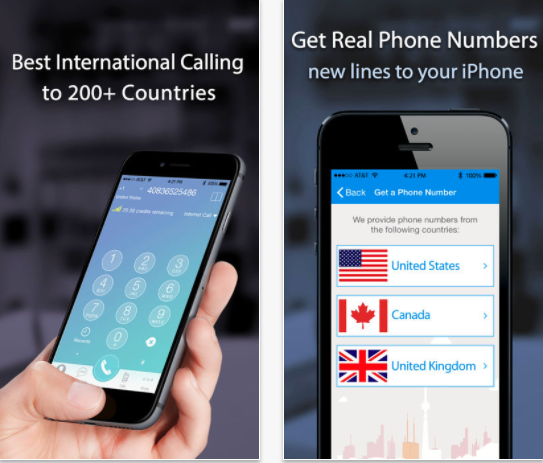 Inbound international calls are also free, with monthly subscription fee for making calls to select countries. The app supports ads, but you can pay for the service to have them removed. 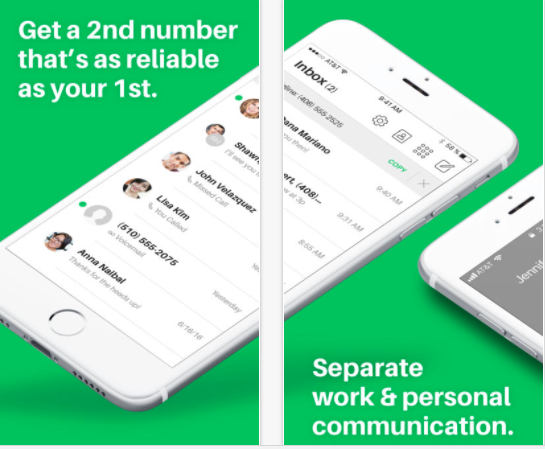 Swytch has designed its app so businesses can give their employees work mobile numbers, instead of work mobile phones. This is a great cost effective option for many small businesses. For the employees it means not having to change personal handset, network operator or SIM card. And for business owners, it means saving on the purchase of increasingly expensive smartphones. Sideline built its business with a free version loaded with features, but now it is only available as a paid service. Still the high-quality features such as auto-attendant, along with standard calling options seem worth the price for many businesses. 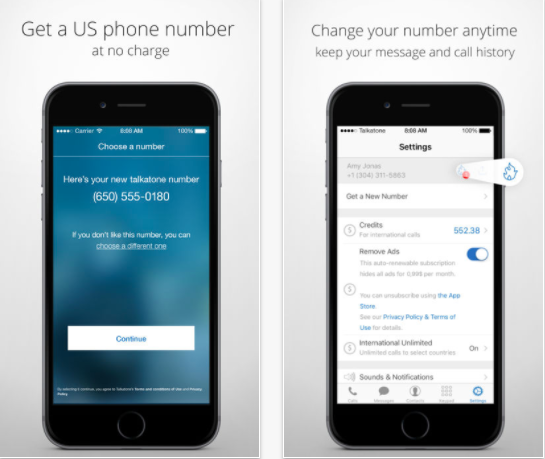 Second Phone Number gives you as many numbers as you want with monthly or yearly subscriptions. The phone numbers are available for 31 countries with features including contact management, numbers for specific business use, texting, SMS and more. 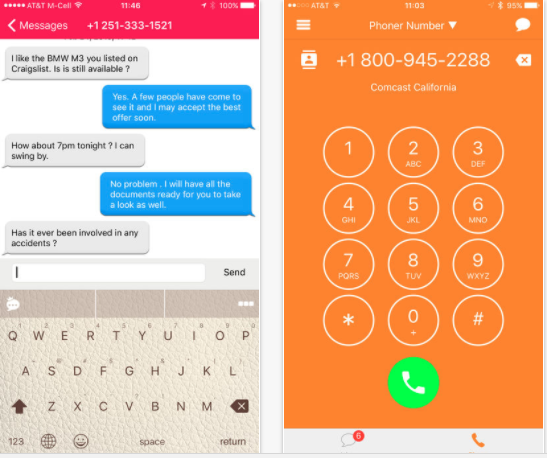 Telos gives you unlimited calling and texting with a second phone number. You can get a US phone number in any area code as well as international numbers in several countries. Calls can be forwarded to any landline or mobile number with voicemail, auto reply messages and blocking features. 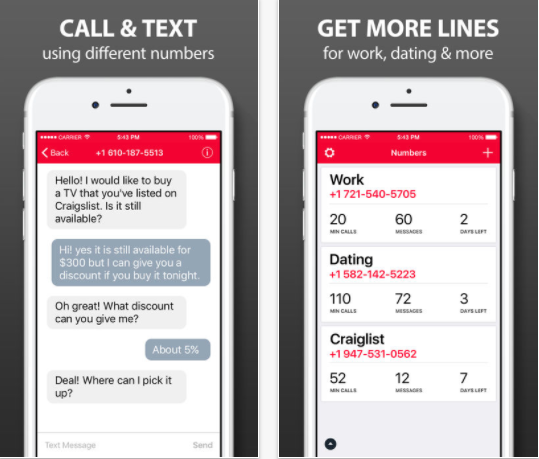 Textfree starts with free text messages, inbound calls and limited outbound calls for your second number. It is important to remember you have to use your free number at least once within a 30 day period or the company will reclaim it. You can keep the paid numbers for as long as you want. TextMe Up lets you manage as many numbers as you like and switch between multiple numbers in one screen. 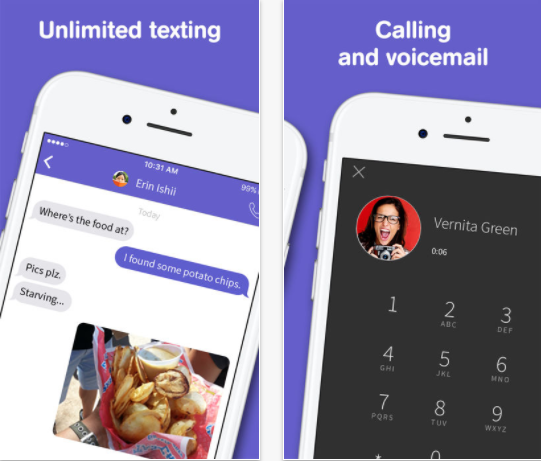 Features include HD voice and video calling, as well as group messages with texting, photo and video sharing. You can call numbers in the US, Canada, UK and 200 countries with monthly plans. 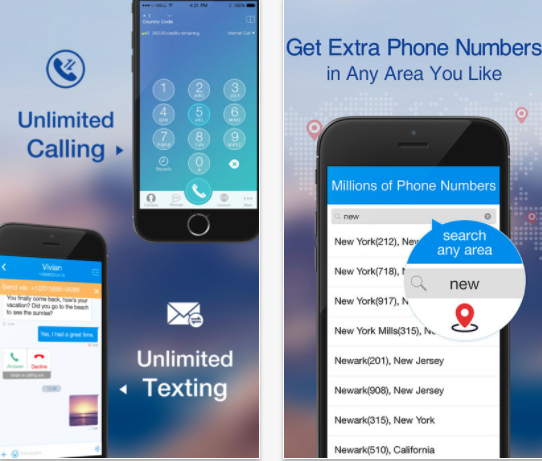 Textplus provides real free US phone numbers with unlimited free SMS text and MMS to any US or Canadian number. While inbound calls are free, you can only make ad-supported free calls. If you don’t want the ads, you can opt for the paid service. The app uses push notifications to instantly deliver text messages. 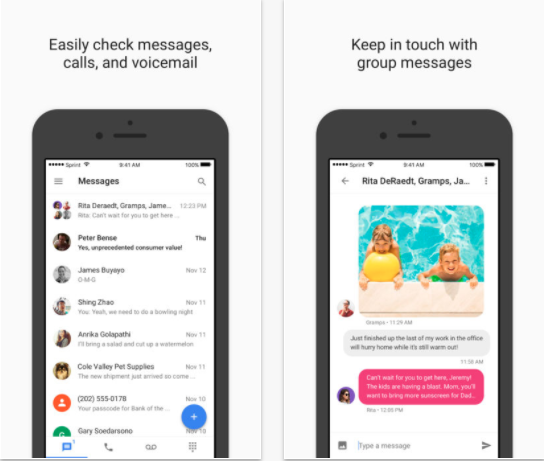 You can also send emojis, stickers, animated GIFs, and voice notes with support for group blast messaging. 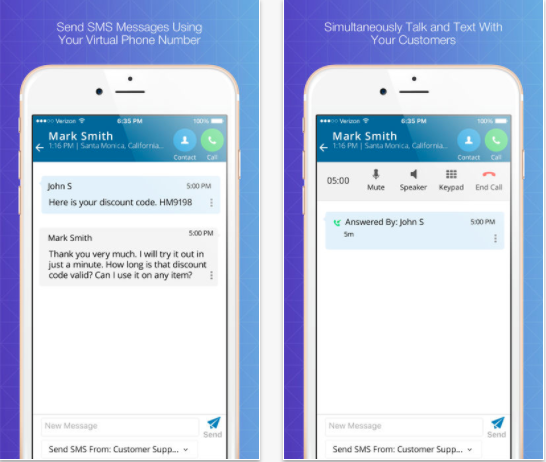 You can place and receive calls and text messages to any phone number or SIP device with Virtual Phone. 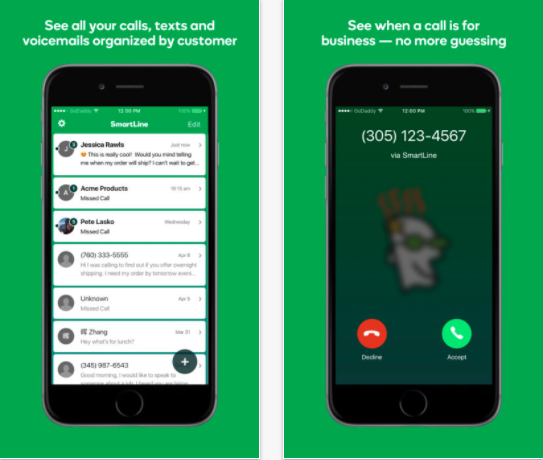 The app includes features to keep track of all caller information, such as geographical location, time zone, caller’s name, and phone. Advanced business call management and routing rules, interactive voice menus, custom greetings, multiple voice mailboxes and more are also available. 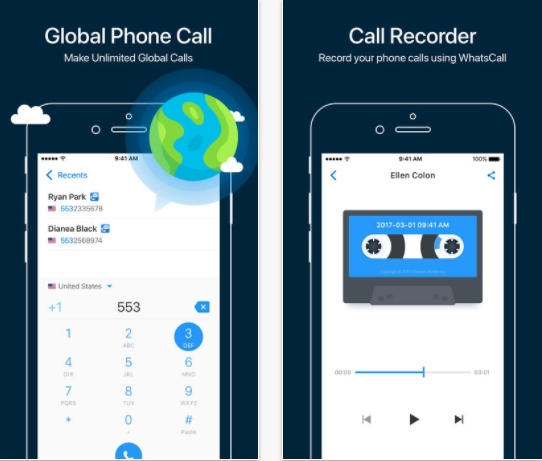 WhatsCall lets you make calls to users even if they don’t have the app or an internet connection. It includes one touch recording for incoming and outgoing calls, call block and caller ID. The company has different offers to earn credit for free calls, including watching ads, playing games, completing tasks and inviting friends. The company said it would cut the price of an out-of-warranty battery replacement from $79 (roughly Rs. 5,000) to $29 (roughly Rs. 1,850) for an iPhone 6 or later, starting next month. In India, the cost of out-of-warranty battery replacement was approximately Rs. 6,500 inclusive of taxes, as per industry sources. Apple has confirmed that the new price starting next month will be Rs. 2,000, exclusive of taxes. 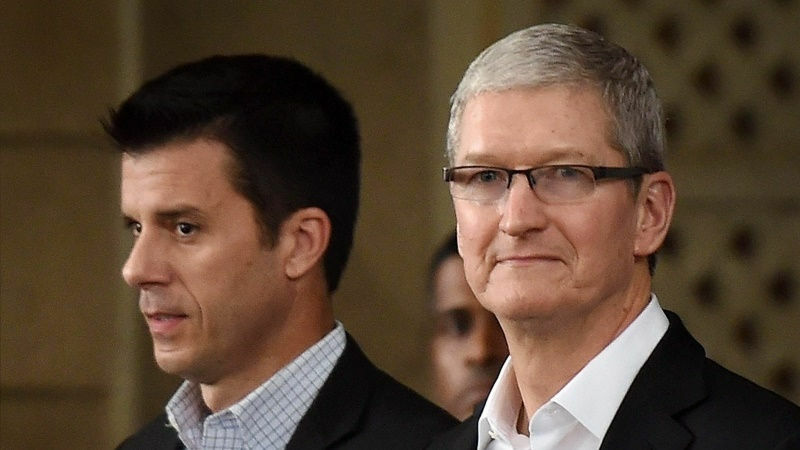 The company also will update its iOS operating system to let users see whether their battery is in poor health and is affecting the phone’s performance. 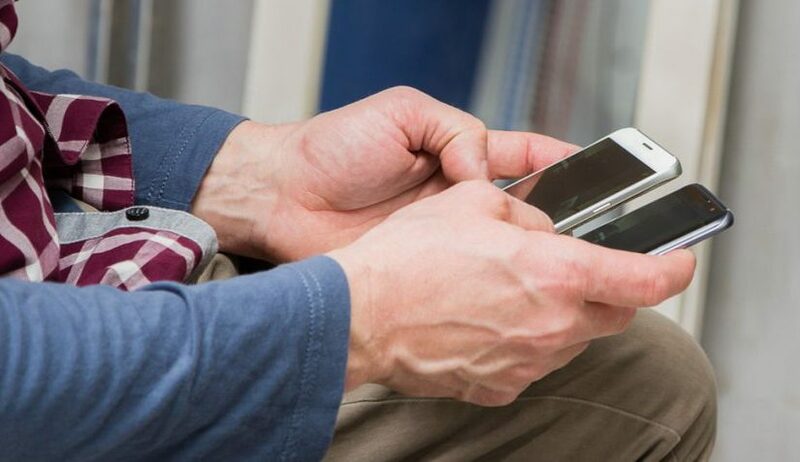 At least eight lawsuits have been filed in California, New York, and Illinois alleging that the company defrauded users by slowing devices down without warning them. The company also faces a legal complaint in France, where so-called “planned obsolesce” is against the law. 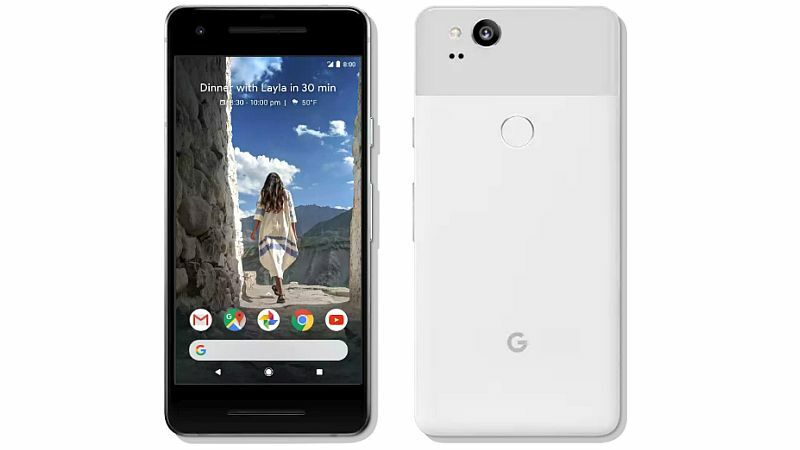 The Google Pixel 2 is the company’s latest offering in the premium smartphone segment but the steep pricing has been putting off a lot of prospective buyers, especially in India. To woo back the pure Android lovers, Google and Flipkart are offering a major discount on the Pixel 2 during the latter’s Big Shopping Days sale, which starts on Thursday, December 7 and extends to Saturday, December 9. The Flipkart Big Shopping Days sale has a Mobile segment, and offers include discounts on the Xiaomi Mi A1, Redmi Note 4, popular iPhone models, as well as a limited stock sale of the iPhone X. The Google Pixel 2’s base model will be available at Rs. 39,999 in Flipkart’s Big Shopping Days sale. This offer price will include a flat discount of Rs. 11,001 as well as a Rs. 10,000 discount that will be subject to card partners during the sale. Exchange offers with up to Rs. 18,000 discount will also be made available, and a BuyBack Guarantee of Rs. 36,500 has been announced. Launched in India earlier this month, the Pixel 2 and Pixel 2 XL are the latest flagship smartphones by Google. The smartphones have high-end hardware that includes high-resolution 18:9 OLED display panels, Snapdragon 835 SoCs, 4GB RAM, 64GB and 128GB onboard storage. Apart from the Pixel 2, the iPhone 7 will be available at Rs. 39,999 as well in the upcoming sale in limited stocks. The Xiaomi Mi A1 will come at a discount of Rs. 2,000 and cost Rs. 12,999 on Flipkart during the Big Shopping Days sale. As we mentioned, Flipkart’s sale next week will also see the iPhone X coming back in stock, in what the e-commerce platform is promoting as the “biggest-ever” sale of the handset in the country so far. The Flipkart sale will also see the first release of Redmi 5A (Rs. 5,999), Micromax Canvas Infinity Pro (Rs. 13,999) and Infinix Zero5 (Rs. 19,999) in the Indian market.